How Long to Cook Ham - Recipes That Crock! Knowing how long to cook ham can be very confusing. There are many factors that determine cooking times for ham, including everything from how it was prepared to where it was packaged. 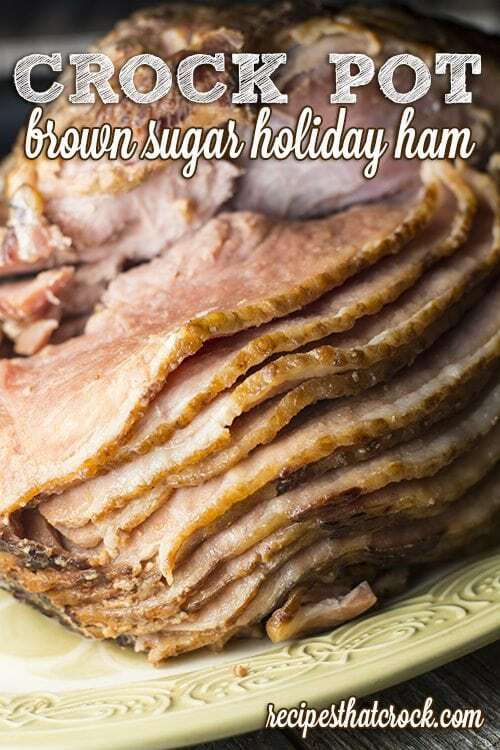 Since posting about our foolproof Crock Pot Brown Sugar Holiday Ham, we’ve received a lot of questions about the different types of ham and how long to cook them in the oven and slow cooker. So we did a little research and created some charts and recommendations for all you holiday ham cooks out there! When determining how long to cook ham, you should first note what type of ham you are cooking. Is it smoked or fresh? 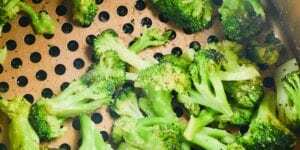 If it is smoked, does it carry the label “cook-before-eating” or “cooked”? Additionally, when reheating cooked hams, it is important to note where the ham was packaged. All of this information should be found on your ham’s packaging. Smoked hams that carry the “cook before eating” label require that the ham be cooked until it reaches an internal temperature of 145 degrees followed by a 3 minute rest before serving. Cooking times will depend on the cut and size of the ham (as listed in the chart). Cooking times are a suggestion. 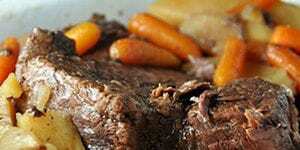 Internal temperature should always be your guide when determining when large meats are done cooking. We use this Meat Thermometer regularly with both our oven and grill for this purpose. 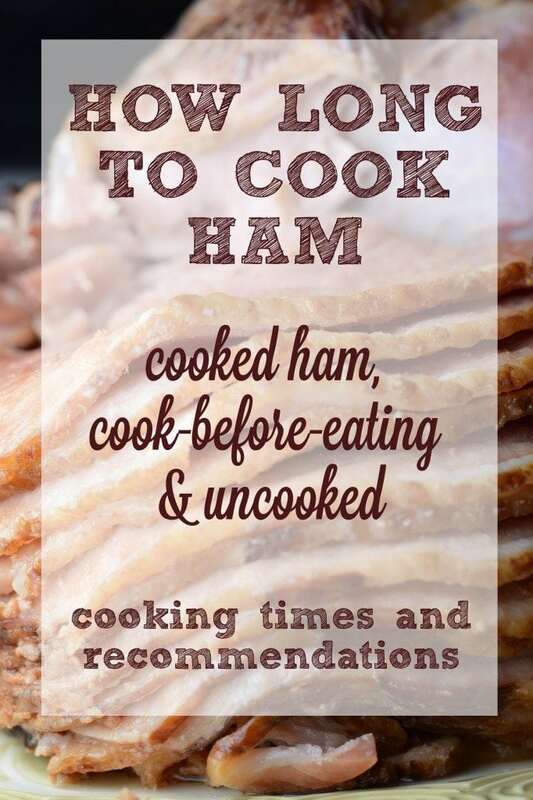 You can also cook “cook before eating” smoked hams in a crock pot by choosing a 5-9 lb ham that will fit completely in your slow cooker (with the lid on) and cooking on low for 6-8 hours or until internal temperature of 145 degrees has been reached. 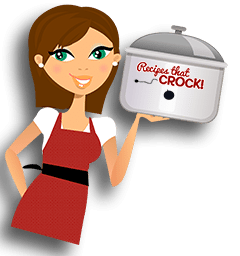 While most 6-7 qt slow cookers will work nicely for this job, we really enjoy using our Slow Cooker with Built-In Meat Thermometer for this purpose. NOTE: All cooking times are guidelines, some slow cookers cook hotter than others and cooking times can vary depending on ham size. A meat thermometer should always be used to determine when the ham is ready. Smoked hams that carry the label “cooked” can be eaten cold without reheating. However, the USDA warns that unpackaged, cooked ham is potentially contaminated with pathogens. For cooked hams that have been repackaged in any other location outside the processing plant or for leftover cooked ham, heat to 165 °F. 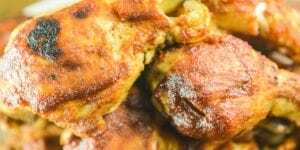 If you choose to reheat fully cooked hams, the recommended internal temp is 140 degrees for hams packed at USDA inspected plans, while those packed at non-inspected plants should be reheated to the recommended 165 degrees. Check your label. We recommend using this Meat Thermometer for oven use. Special care should be taken while reheating spiraled cooked hams in the oven so that they don’t dry out. One way to avoid this is to cook spiral hams in a crock pot. 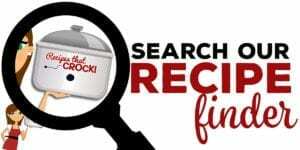 Spiral or traditional cooked smoked hams both can be reheated in a crock pot by choosing a 5-9 lb ham (choosing a shape and size that will fit completely in your slow cooker with the lid on). 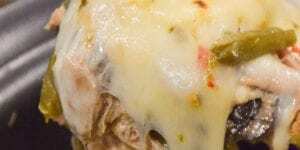 We recommend that you use bone-in or whole muscle boneless hams in the slow cooker. Cook on low for 6- 8 hours or until internal temperature of 140 degrees (165 for non-USDA inspected packaging) has been reached. While most 6-7 qt slow cookers will work nicely for this job, we usually use our Slow Cooker with Built-In Meat Thermometer for this purpose. NOTE: All cooking times are guidelines, some slow cookers cook hotter than others and cooking times can vary depending on ham size. A meat thermometer should always be used to determine when the ham is ready. Fresh hams are uncooked (uncured and not smoked) and do not taste like what folks normally think of as “ham”. 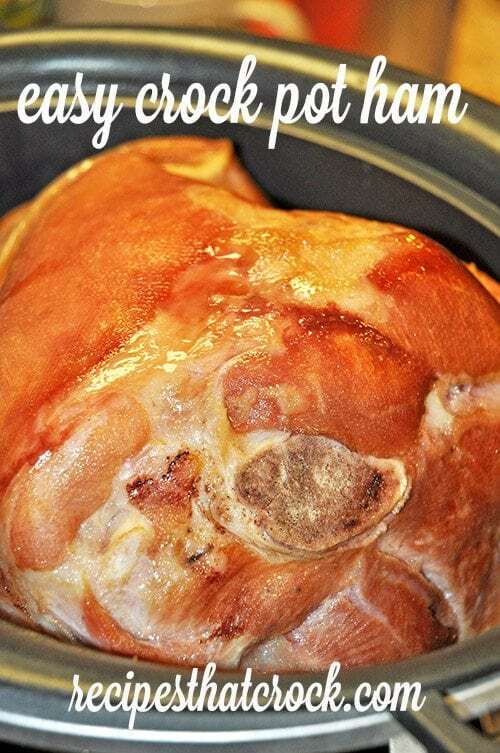 Fresh ham will start out pink and turn white while cooking, like other pork roasts. 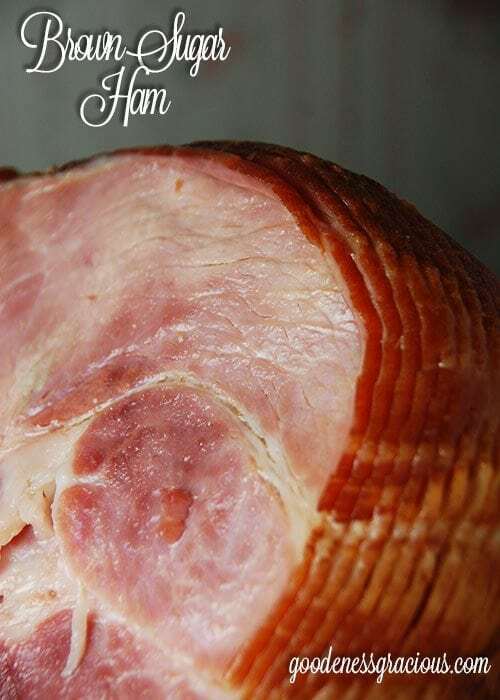 Fresh ham should be cooked the specified time based on the cut and weight as listed in the chart until it reaches an internal temperature of 145 degrees. We recommend using this Meat Thermometer for oven use. The ham should rest 3 minutes before serving. 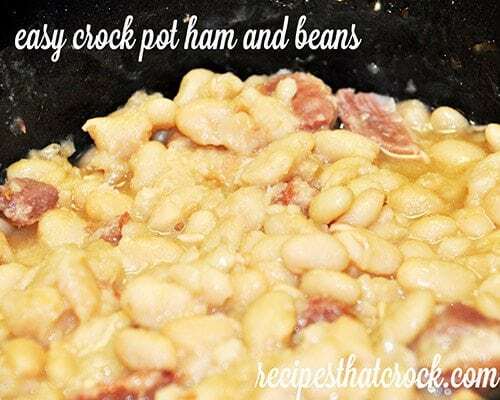 Fresh can be cooked in a crock pot by choosing a 5-9 lb ham (choosing a shape and size that will fit completely in your slow cooker with the lid on). Cook on low for 8-10 hours or until internal temperature of 145 degrees has been reached. While most 6-7 qt slow cookers will work nicely for this job, we recommend a Slow Cooker with Built-In Meat Thermometer for this purpose. NOTE: All cooking times are guidelines, some slow cookers cook hotter than others and cooking times can vary depending on ham size. A meat thermometer should always be used to determine when the ham is ready. Are you wondering what size (or number) of ham you need to feed your guests? For Bone-In Hams, you will need 1/3 to 1/2 lb of ham for each person. For Boneless Hams you will only need 1/4 to 1/3 lb ham per person. The general rule of thumb is that your frozen ham will take approximately 5 hours per pound to thaw in your refrigerator. If your ham is a larger size, it may take additional time to thaw completely. The following recipes are our go-to favorites. 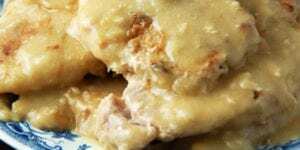 After the holidays, here are some fantastic leftover ham recipes. Information for this post is sourced from USDA. Affiliate links were used in this post.